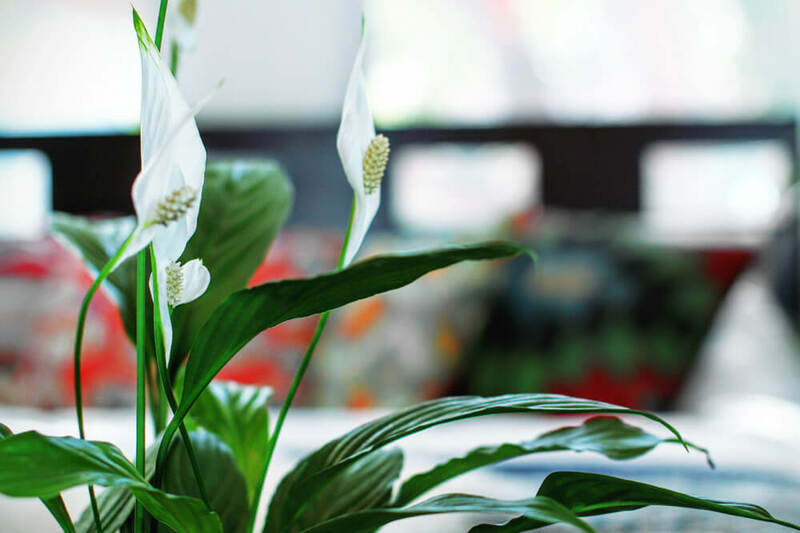 The Peace Lily is a popular choice for indoor plants because of its white flower-like features and ease of care. Its elegant green leaves are terrific at purifying the air from undesired toxins. 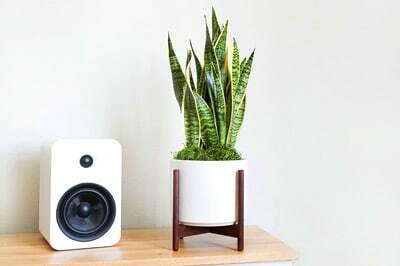 The perfect gift for a budding plant parent. Peace Lilies enjoy low to medium light, and express a need for water by sagging their leaves, which perk back up once watered! In ideal conditions the plant will regenerate its flowers forever. Follow the instructions below and you should not have problems with your Peace Lily. 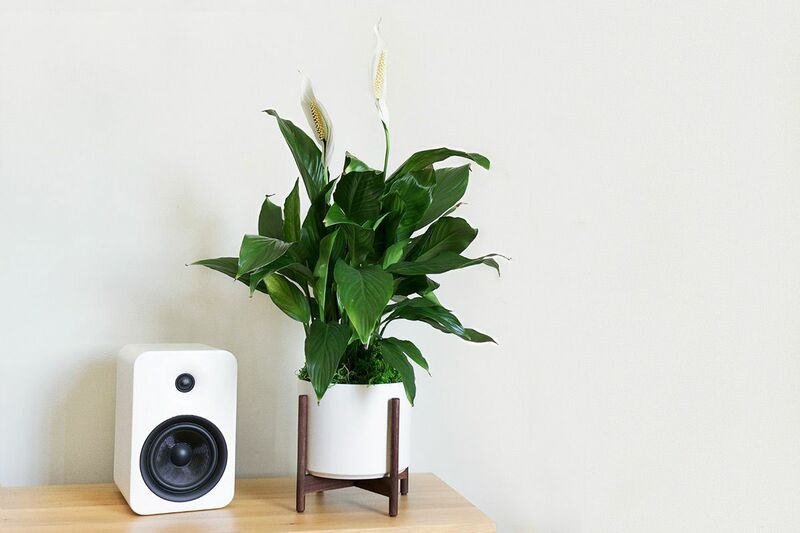 All plants experience some shock when moved around and may take a bit of time to adjust to their new environment in your home, but the Peace Lily – like all our plants – is strong and adaptable, so take care of it and give it patience and it will reward you with its beauty. The Peace Lily likes medium amounts of indirect light, but it's excellent at surviving in low-light situations too. Though without a lot of light, growth will be slow and its white flowers will fade. Either way, it's an extremely adaptable plant when it comes to light. The Peace Lily likes to have its soil lightly moist at all times so give it a little bit of water once or twice a week, especially if the top part of the soil (under the moss) feels dry. But the plant also has a great "feature" with leaves that droop and sag when it's thirsty. So if you forget to water it, it will remind you! The leaves will perk back up when it has enough water. As with all plants, avoid overwatering and drain any excess water from the bottom of the saucer, as standing water may cause root rot. The white flowers are meant to be temporary and the plant will kill off those flowers and grow new ones several times throughout the year. Feel free to trim away any dead or dying brown leaves and flowers by cutting them off at the base of the leaf's stem with a sharp scissor. Write us at hello@leonandgeorge.com with any questions about your Peace Lily not covered here.